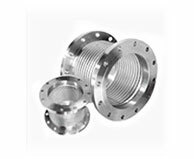 Expansion Joints provide flexibility and compensate for various strains and movements in the pipe system such as mechanical vibrations, thermal expansion, and pressure changes. A.R. 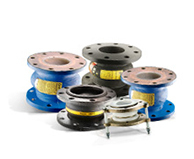 Thomson Group assembles and distributes all types of expansion joints such as fabric duct and blower type; metallic spool, pipeline or ducting type; elastomeric type and vibration dampeners; and full PTFE spool type. 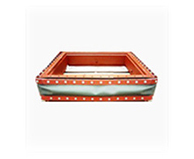 We also supply expansion joints accessories and options.